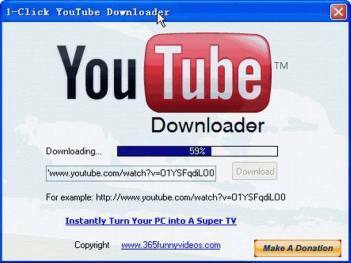 1-Click YouTube Downloader is an easy YouTube videos downloader. You simply paste YouTube URL, then click mouse. The software will download the video as FLV file instantly. You don't have to use any other download manager, 1-Click YouTube Downloader uses its own fast download function. You can download videos as fast as you can imagine.